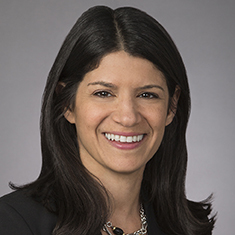 Amanda Segal, head of Katten’s Distressed Debt and Claims Trading practice, advises clients from a broad range of industries who originate, restructure and invest in distressed assets, including foreign and domestic bank loans, high-yield securities, claims against bankruptcy estates and interests in litigation trusts. She regularly represents broker-dealers, hedge funds, investment funds and other financial institutions in the purchase and sale of bank debt, trade claims, private securities and other investments in companies undergoing financial distress. Amanda applies her background as a bankruptcy attorney to provide guidance to clients on bankruptcy and restructuring matters related to special situation investments and loan restructurings. She also is experienced in claims reconciliation, including the liquidation and negotiation of settlements with a debtor's estate, as well as in the acquisition of estate claims on behalf of investors. Amanda is a member of the Loan Syndication and Trading Association (LSTA) and the American Bankruptcy Institute. Shown below is a selection of Amanda’s engagements.